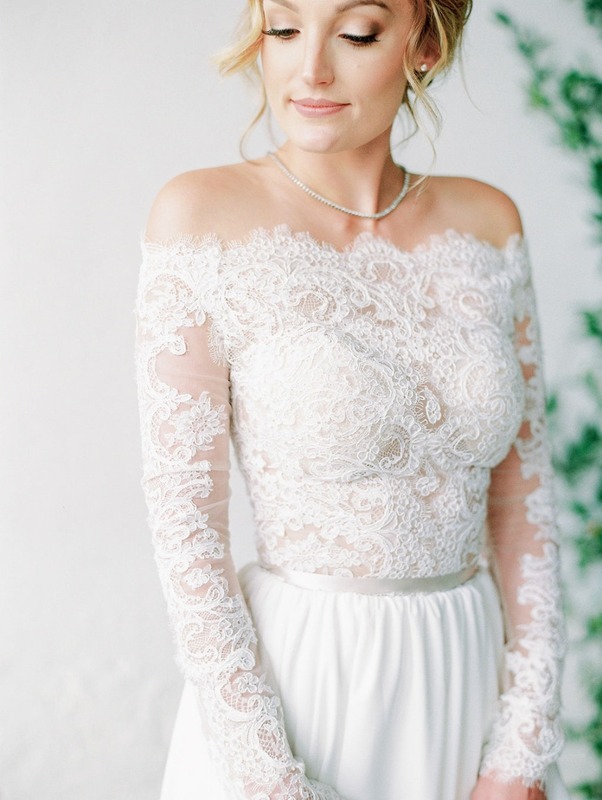 Okay, so the #10YearChallenge may officially be fizzling out on Insta, but for Denver’s best bridal boutique (really, they’ve got awards to back it up), Blue Bridal, 2019’s arrival marks their 10th anniversary year - and they’ve had a more-than serious glow-up story since they opened their doors in 2009. They caught up with us to make sure their major milestone in the Mile-High City was properly celebrated, and we obviously needed to tell you all about it. Because not only is this 100p women-owned+operated boutique the perfect place to find your #somethingblue, it’s also a great place to design #somethingnew, too. Read on, you’ll catch ALL the feels real quick. Promise. At least when you consider what Blue Bridal is doing RN. Come September, the ladies of Blue will be poppin' bottles as they log an official 10 years in business. According to their team “Each year has gotten better + better,” and they’ve “loved and cherished every #idoatblue moment since they opened little tiny Blue in the Pavilions almost a decade ago.” Now, in their Denver Design District home, they’re reminiscing over the surrealness of “how far” they’ve come and it’s blowing 🤯 their 🤯 minds 🤯. From day one to present-day, they’ve provided the “BEST experience, chic designer dresses (without the designer price tag), accessories, and in-house alterations” for their brides-to-be, and now that experience includes exclusive dresses designed in-house. That’s right, bridal gowns done in Denver and they can’t be found anywhere else - but if you’re from out of town, no worries, custom orders can be shipped anywhere in the USA. You see, the boutique still (and always will) carries a plethora of phenomenal designer confections - from Denver-only-offered Aire Barcelona to Casablanca Bridal, Tara Keely to Sara Gabriel - but most recently, Blue launched its own inaugural collection, and it’s a total dream come true for brides who want something exclusive, but also have an eye for customization. Custom veils + accessories have always been bestsellers for the store, so a step in this direction - with dresses - was a natural and highly-anticipated evolution for Blue. From understated chic styles to looks with bohemian elegance, the gowns check the boxes on every coveted style. Intricate hand beading and high-quality lace are just a few of the finishes, but they can custom design anything their brides’ hearts desire. It’s as simple as that. We’ll let you decide on the looks you love, but these happened to be our favorites. Long sleeves, streamlined silhouettes, illusion detailing, slitted skirts, and a kiss of whimsy embellishments. We’re here for it 😍. Oh, and they’ve got an exclusive for our readers that couldn’t be better! The first 500 people who email or call about getting a sample design kit and starting to design their dream dress with Blue get $500 OFF their Blue Bridal exclusive design, the Poppy. This dress is incredibly hot RN, for obvious reasons ((it's just stunning)), but it's entirely customizable - because of its lace and tailorable materials. Even if you live outside of Denver, you can still inquire about getting your own design package and ordering details for this dress. Just mention that you read our post --- oh, and throw in some congratulations, too! 🥂#10years, after all. FOLLOW BLUE BRIDAL ON IG FOR #SOMETHINGOLD + #SOMETHINGNEW @ #SOMETHINGBLUE BRIDAL. We partnered with Blue Bridal Boutique to share the deets on this amazing design-your-own-gown Denver boutique. As always, thank you for supporting our sponsors!